“Black Radical Imagination I & II” is a two-part screening of experimental film and video curated by Erin Christovale and Amir George exploring the aesthetics of afro-futurism and afro-surrealism. UVP, parent organization Light Work, and the Community Folk Art Center (CFAC) have announced several interrelated, afro-futurist-themed events and exhibitions through March, on the occasion of UVP’s year-long curatorial program “Celestial Navigation: a year into the afro future.” The constellation of programs includes: “Black Radical Imagination I & II” screenings and panel discussions on Feb. 10 at Shemin Auditorium on the University’s main campus and at CFAC; “Jeannette Ehlers: Black Bullets” exhibition from Feb.10-March 28 at UVP Everson; and “Cristina de Middel: The Afronauts” exhibition through Feb. 28 at CFAC. All events are free and open to the public. Tuesday, Feb. 10, 2-4 p.m.
Tuesday, Feb. 10, 6:30-8:30 p.m.
Thursday-Saturday, dusk until 11 p.m. Reception: Jan. 29, 6-8 p.m.
805 E. Genesee St., Syracuse, N.Y.
“Black Radical Imagination I & II” is a two-part screening of experimental film and video curated by Erin Christovale and Amir George exploring the aesthetics of afro-futurism and afro-surrealism. The programs feature different lineups, and each is followed by a discussion with the curators. 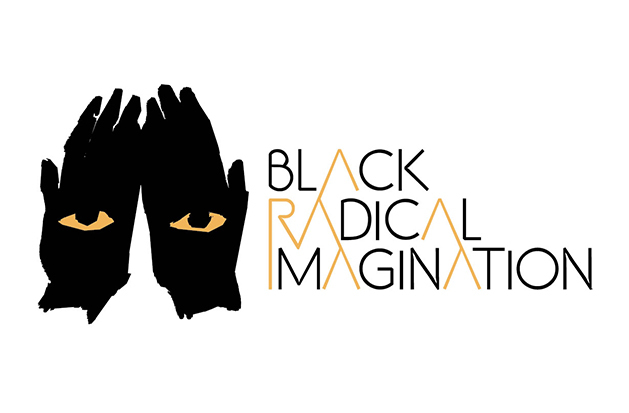 The conversation following “Black Radical Imagination II” will also include artists Ephraim Asili and Lewis Vaughn. This touring program has visited many prestigious academic institutions, cutting-edge film festivals and contemporary art venues. This event marks the first time this program has been screened in Central New York. Featured artists include Cauleen Smith, Jacolby Satterwhite and de Middel (BRI I); and Terence Nance and Sanford Biggers, Lauren Kelley and Jeannette Ehlers (BRI II), among others. Cristovale is a curator based in Los Angeles focusing on film/video within the African diaspora. She graduated with a B.A. from the USC School of Cinematic Arts. Cristovale’s exhibition, “a/wake in the water: Meditations on Disaster,” is currently on view at the MoCADA Museum. She also works with the Native Thinghood collective, which promotes emerging artists of color. George is a motion picture artist and film curator from Chicago. His video work and curated programs have been screened in festivals and galleries across the U.S., Canada and Europe. In addition to founding the Cinema Culture, a grassroots film programming organization; George was founding programmer of Black Cinema House, a residential cinema space on Chicago’s south side. He currently teaches and produces media with youth throughout Chicago. “Black Bullets,” is inspired by the Haitian Revolution of 1791, which lead to the creation of the world’s first black republic. “Black Radical Imagination I & II” is presented in conjunction with the exhibition of “Jeannette Ehlers: Black Bullets” at UVP’s Everson Museum of Art venue and the exhibition of de Middel’s “The Afronauts” at CFAC. For more information and the complete program for each screening, please go to urbanvideoproject.com. 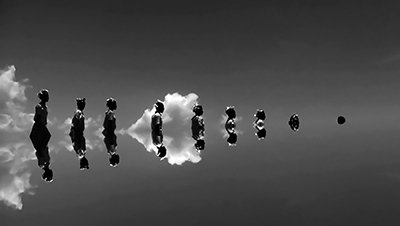 UVP will present “Jeannette Ehlers: Black Bullets,” on view at UVP Everson every Thursday through Saturday, from dusk to 11 p.m. from Feb. 10-March 28. Ehlers’ haunting 2012 video piece “Black Bullets” is inspired by the Haitian Revolution of 1791, which led to the creation of the world’s first black republic. Filmed on location at La Citadelle in Haiti, the piece is a tribute to the act of revolt. Additional work by Ehlers is featured in the “Black Radical Imagination II” screening and panel talk on Feb. 10 at CFAC. Ehlers is based in Copenhagen. A 2006 graduate of the Royal Danish Academy of Fine Arts, she produces works that revolve around the Danish slave trade in the colonial era. She is of Danish and Trinidadian parentage. “The Afronauts” is inspired by Zambia’s short-lived space program. 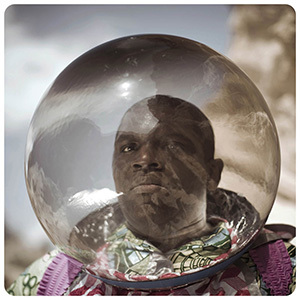 CFAC, in cooperation with UVP, will present an exhibition of de Middel’s series, “The Afronauts,” from Jan. 17- Feb. 28. “The Afronauts” is inspired by Zambia’s short-lived space program. In 1964, the newly independent nation of Zambia began a space program with the intention of putting the first African on the moon. Though it never received necessary funding, the program—led by eccentric school teacher Edward Makuka—captured the excitement and ambitions of this young country. Using this history as a point of departure, de Middel created “The Afronauts,” a body of artwork including photographs, drawings, video and sculptures. A video by de Middel is featured in the “Black Radical Imagination I” screening and curator talk on Feb. 10 in Shemin Auditorium. De Middel was born in Spain, earned an M.F.A. at the University of Valencia and M.A. in photography from the University of Oklahoma, and is a photojournalist. Her first book and film, “The Afronauts (2012),” received critical acclaim and was named by many as one of the best photobooks of 2012. De Middel is currently based in London. The above events and exhibitions are presented in collaboration with the College of Visual and Performing Arts, Department of Transmedia and the Department of Art’s Visiting Artist Lecture Series; the Community Folk Art Center; and with the generous support of the Humanities Center and the New York State Council on the Arts (NYSA).